FSO ARTOLINK - equipment for high speed wireless optical communications. It is high-tech product designed MOSTCOM company specialists, who have a much years experience of work in the field of aerospace technology laser communications. 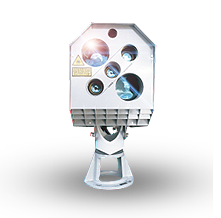 Quality of Free Space Optics equipment Artolink confirms the long-successful experience in the harsh Russian climate, with temperatures from -63 to +50 Celsium degrees, at distances from 50m up to 6500m . Free space optics (FSO) equipment Artolink is very easy to install. "Last mile" problem in crossing a public road or other barriers which the sender and receiver do not own.